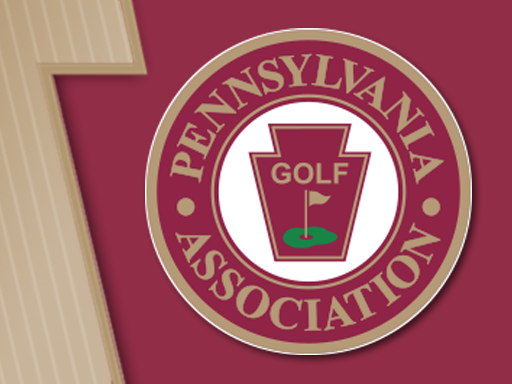 It was on Dec. 7, 1979, that Hershey’s Mill Golf Club was founded. Its course is the centerpiece of Hersey’s Mill Villages, a community of homes in West Chester, Pa. designed principally for people 50 years of age and over. The initial board of directors included David Acton, David F. Crockett, Sr., David F. Crockett, Jr., William G. Crockett, John F. Trickett, Joseph W. Conlon, Herbert F. Hall, and John B. Lewis. David Acton served as the first president of the new club. John Lewis succeeded him. Doylestown’s Dave Gordon had been chosen to design the course, construction of which began in late 1978. Subsequently, however, William E. Maddox, of Batavia, Ill., was brought in to lay out and build the eighteen. The son of golf course architect and builder Charles E. Maddox, Bill Maddox, after working for a number of years with his father, fashioned several courses on his own in the 1970s, mainly on the west coast of Florida. Maddox incorporated four holes from the original Gordon plan into his design. Nine holes opened for play on June 15, 1980 (there were 18 tees). A tournament marked the occasion. Fifty-one golfers teed off following a shotgun blast. They finished amidst thunderclaps in a violent storm. Since the clubhouse was not yet completed, the after-golf celebration took place in Winfield Hall, the community center. 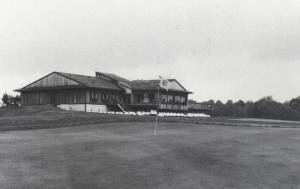 Six months later, in December 1980, the clubhouse opened its doors. It contained a dining room with a seating capacity of 130, locker rooms for men and women, six rooms for overnight guests, and a golf shop. Ben Steele was the club’s first professional. The clubhouse was formally dedicated on Jan. 31, 1981. By the end of May, 1981, all eighteen holes were in play. A round then started at what is now the 10th tee; the nines were switched in July 1982. Since the opening of the full 18, several changes have been made in the course, most notably the lengthening of the 2nd hole to a par 5. Both the 6th and the 8th greens have been rebuilt. Routed over attractively rolling terrain and dotted with a number of proud old hardwoods and evergreens, Hersey’s Mill measures 6,292 yards from the regular markers (6,702 from the back, 5,634 from the front) and plays to a par of 72. A look at the card discloses no par 5 as long as 500 yards and only two par 4s—the 433-yard 6th and the grand 417-yard 18th, over water, then uphill to a dangerously sloping green—requiring some show of strength. But the card can be misleading. A combination of narrow fairways, doglegs, boundaries, and elevation changes— plus greens that generally call for a very assured touch— produces a course rating, from the regular markers, of 70.7 and a Slope of 126. The community may well have been developed with senior citizens in mind, but the golf course makes little concession to the age of the players. The Golf Association of Philadelphia Magazine highlighted Hershey Mill’s wastewater treatment plant in its Fall 2014 issue.